The right tool for the right job makes all the difference. I won’t waste your time with a lot of fluff here in the intro. This guide is exactly what the title describes: five pairs of scissors we love, and we think you’ll love too. Cutting with them is like a little dose of heroin. 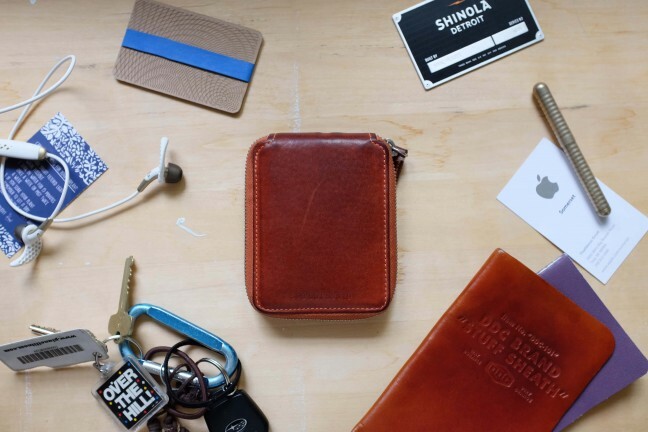 Still not sold on 40-dollar scissors? That’s okay, you can opt instead for the Wiss 10-inch titanium-coated shears. 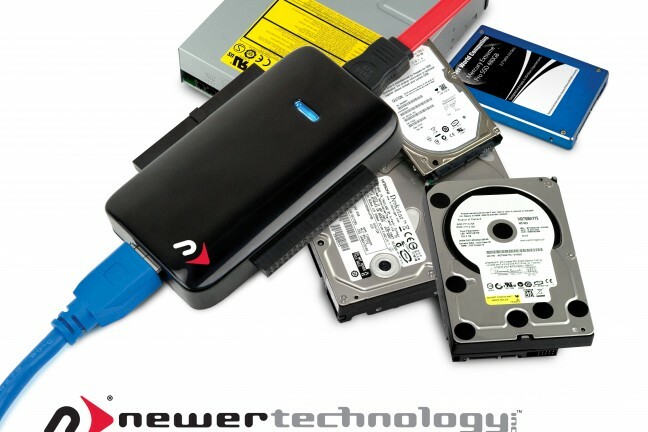 They’re an affordable, solid set that’ll last you a long time and won’t give you any hassle. These bad boys can smoothly cut carpet, leather, rubber, cardboard, plastics, rope, heavy craft materials, and more without breaking a sweat. + If you’re going to be working with primarily sheet metal and the like, consider upgrading to the company’s 3-piece aviation snip set. 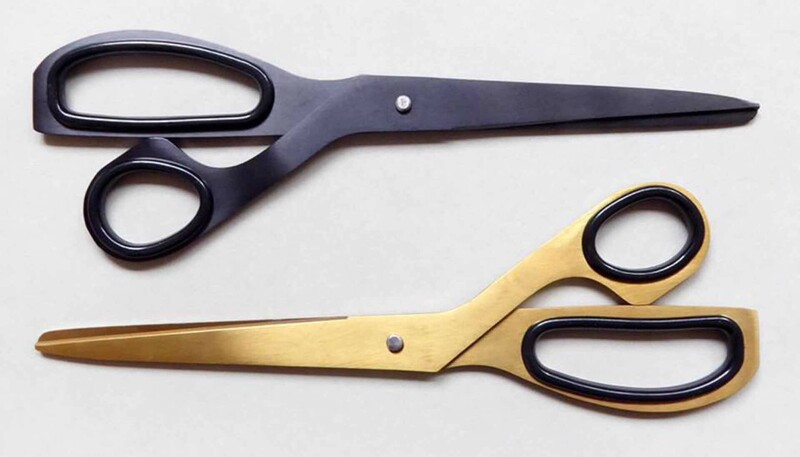 These brass scissors are more desirable for their style than anything, especially the actual brass-colored ones. Whichever color you choose, the contrasting black rubber rings make them comfortable to use, and they look cool enough in general that you’ll almost want to display them. The Xcissor Pen by Taiwanese company mininch (pronounced mini-inch) is a sleek stainless steel executive pen with a small pair of scissors hidden in the barrel opposite the writing end. 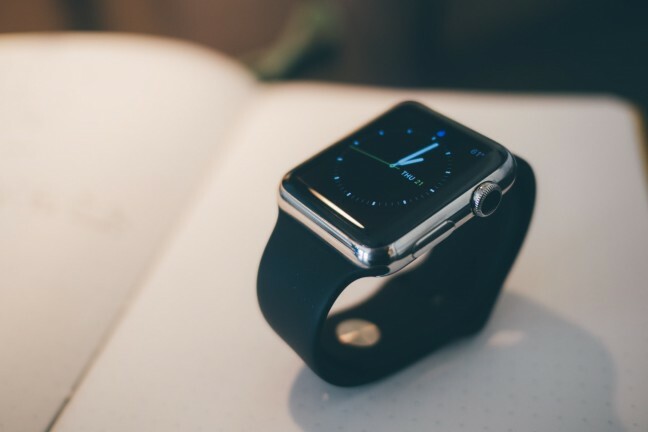 It got its start as a Kickstarter project a while back, nearly tripling its $10K funding goal. 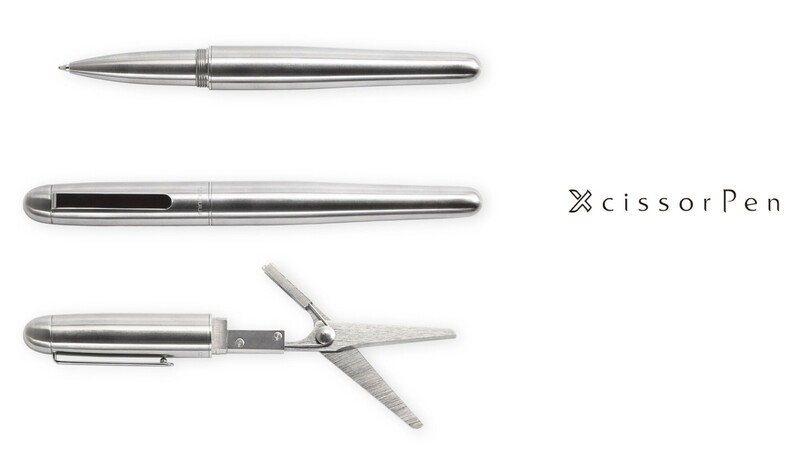 Each pen + scissors combo comes in your choice of silver (nickel-plated) or black (teflon-coated) finishes. What, you thought we were only talking about cutting paper and such? Ha! While traditionalists in the kitchen typically prefer to chop herbs with a good old fashioned chef’s knife, there are other ways to get the job done more efficiently and without having to practice knife skills. 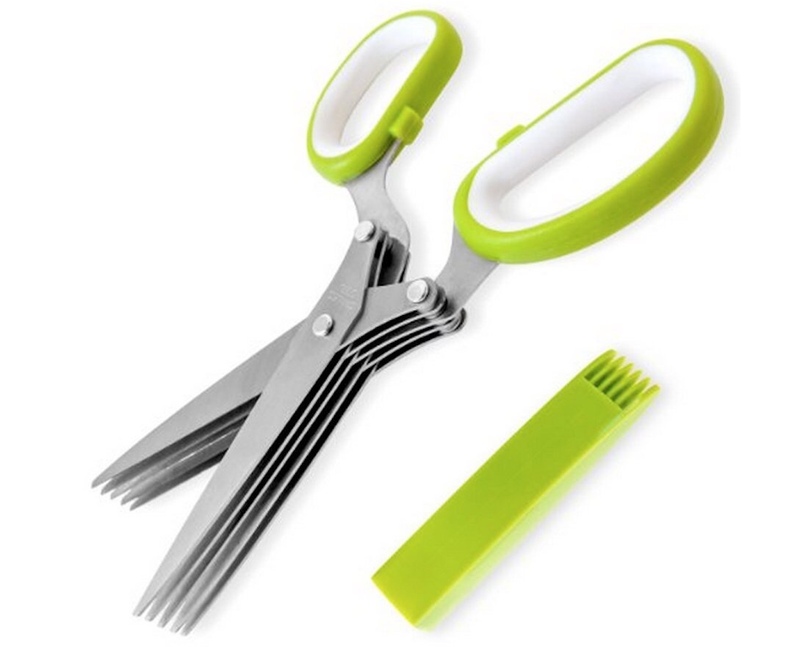 A pair of 5-bladed herb scissors like these makes quick work of slicing basil, parsley, chives, cilantro, and any other herb you like cooking with. The plastic safety sleeve it comes with doubles as a “comb” for cleaning remining bits of herb from between the scissor blades. When you’re done using them, the scissors can go right in the dishwasher for easy cleanup.